1,758 people trained directly, of which 727 NGO/MFI staff and 763 underprivileged youth. 26,380 people trained by organisations we trained. Around 113,000 people reached as participants share with their colleagues and families what they learn. 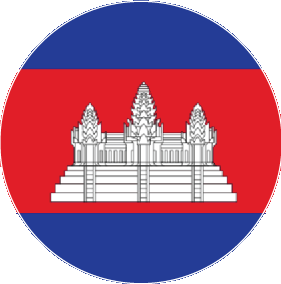 Debt: most Cambodians have debt which is a costly additional burden for low and very low income families. Families pawn (and often lose) their land deeds to borrow money. Debts are also a source of human trafficking. The easier access to credit has pushed the level of indebtedness as loans are also used for daily life consumptions. Our programmes focus on debt consequences, keeping a manageable debt level, planning future expenses and saving for emergencies. 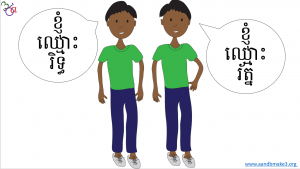 Enfants du Mékong: has been instrumental to our work in Cambodia since 2006. 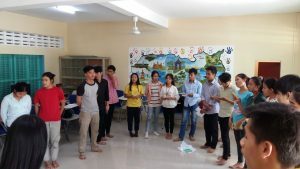 Enfants du Mekong gives training to secondary school teenagers, university students and the families of the children that the organisation helps supporting. We helped them embed financial education in their students’ development curriculum in Phnom Penh and in Sisophon. Read more. They also introduced money management simple workshops to the very low income families they support. Read more. Soieries du Mékong in Banteay Chhmar (North Cambodia) has been the very first organisation we worked with. Besides providing revenue to sill-weavers, Les Soieiries support their savings effort through regular training and a savings scheme; we designed their training and trained their trainers. Read more. 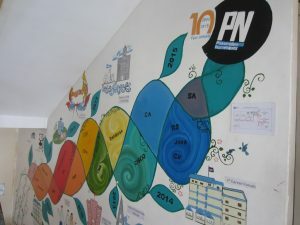 Salabai, a Siem Reap based vocational school, has integrated money management to their students’ curriculum since 2008. Twice a year each batch learns about the basics of managing a salary. Read more. Bethezer Aid Fund regularly runs our programme “Money Starters” for students. Read more. ICS Asia (along with ICS Africa) wanted to enrich their Parenting Skills programme with a Family Budgeting module to address lack of trust, arguments between spouses and reduce debt burden. We designed a module linked to their existing Parenting Skills programme, ran training the trainers, observed some pilots and co-worked on adapting and contextualising it. Read more. 1001 Fontaines- Teuk Saat a social enterprise who has built a business and development model around clean water production and distribution locally, wanted to empower their entrepreneurs and support team. Read more. 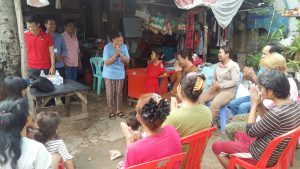 Habitat for Humanity Cambodia asked us to develop a specific module to accompany its beneficiaries plan their home improvements and finance them in a responsible way. Read more. Women’s Resource Center: we redesigned their financial literacy programme to address their target clients’ issues, including illiterate ladies. Read more. SHE Investments: use part of our curriculum that they accessed online to build their own programme and empower Cambodian women. 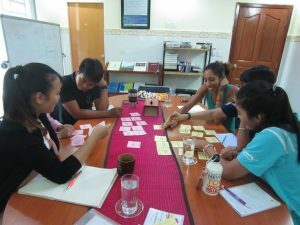 Care Cambodia: we designed a very simple programme for garment factory workers so that it can be facilitated by peers. Read more.